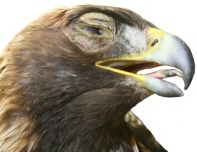 Thank you for considering a gift to the Alberta Birds of Prey Foundation. We have been providing daily volunteer wildlife rescue, year round since 1983. Support from donors and volunteers make this ongoing work possible.